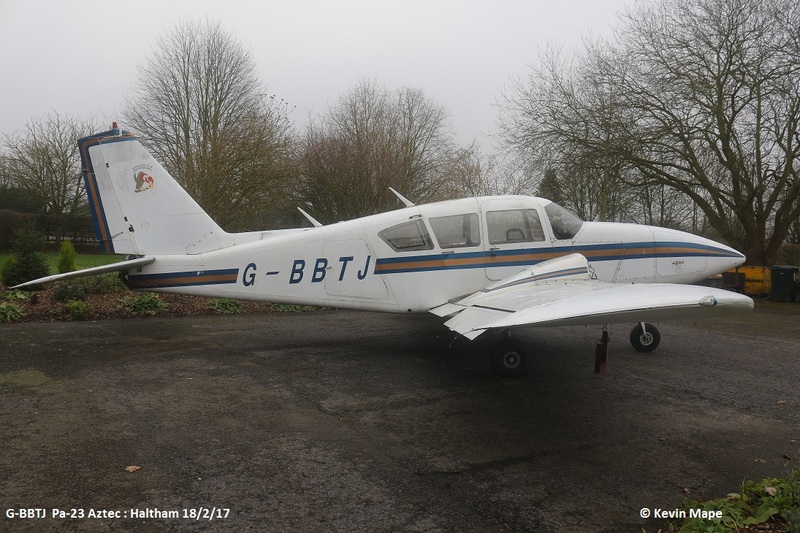 I was driving from Coningsby to Horncastle and noticed a Piper Aztec parked in the old Marmion Arms Pub Car Park in the Village of Haltham. A quick U-turn to have a look turned out to be the old Cooper Surveys Aztec from Wickenby. Built in 1973 it had spent all it’s life registered in the UK. The new owner Jon used to work for Coopers and had flown in this Aztec as far as Africa doing survey work. The Aztec has no engines in at the moment and the seats are removed but after a good clean on the outside it is starting to look like it’s old self, If Jon had not saved the Aztec it was due to be scrapped at Wickenby. This Aztec used to sit outside the Skunk works looking a very sad sight. 1/ Webster Aviation Ltd Leavesden Airport – 27th Nov 1973 – 23rd Jul 1974. 2/Mosley Group (PSV) Ltd Loughborough – 23rd Jul 1974 – 20th Jan 1977. 3/Milford Haven Dry Dock Com Ltd. – 20th Jan 1977 – 13th Dec 1985. 4/Midas Air Ltd Ashford. – 13th Dec 1985 – 24th Sep 1986. 5/City Flight Services West Sussex. – 24th Sept 1986 – 7th Aug 1987. 6/GCA Survey Group Ltd Shoreham. – 7th Aug 1987 – 17th Jan 1989. 7/Grange Aviation Investments Shoreham. – 17th Jan 1989 – 11th Sep 1991. 8/Geonex UK Ltd Mitchem. – 11th Sep 1991 – 10th Mar 1995. 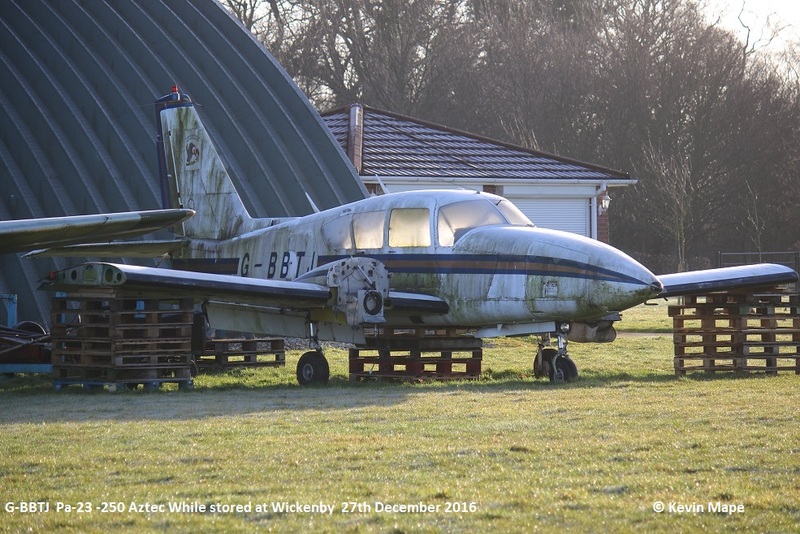 9/ Coopers Aerial Surveys Ltd Wickenby. – 10th Mar 1995 – 26th Jul 2010.